God has a great way of redirecting you, doesn’t He? I have a lot of pet peeves, like people going the wrong way in the Walmart parking lot, and then giving me the stink eye (or another unkind gesture…) because they can’t get by me. The nerve! However, what really gets my goat, is people who have an inability to follow the rules of the road, whether it’s speeding, not using their signal, yakking on their phones and swerving all over…those drivers really get on my nerves. Like the fool who passed me this morning on a hill, which was on a curve and had a double line to boot! The same fool who turned left in front of a school bus going straight seconds before the light actually turned green. The same fool who was going so fast after he turned left, that when I turned left after the school bus went through the intersection, he was so far ahead, I couldn’t even see his tail lights! Argh! What?! Oh, that kid. Now, one would think that little insight from my snarky teen would pull me back to reality. Sigh. Okay, Lord…I hear you. I admit, I have the tendency sometimes to let the little things or the things that I have absolutely no control over, really get under my skin. Although that driver was wrong (clearly! ), what was the purpose in me continuing to harp on it? It was not my problem nor in my control. So, to the wonderful person in front of me at the Dunkin Donuts this morning, thank you for your act of kindness. 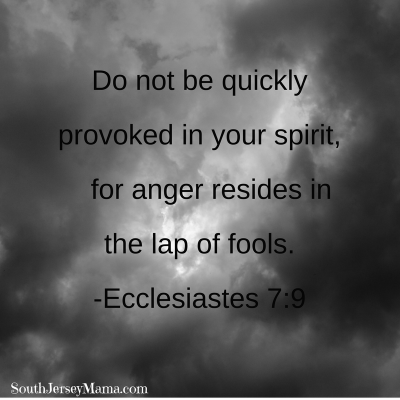 God used you to redirect this mama’s foolish attitude and show her what really matters: an attitude focused on loving God and loving others, something I can and should strive to control. God is good…and has our back.